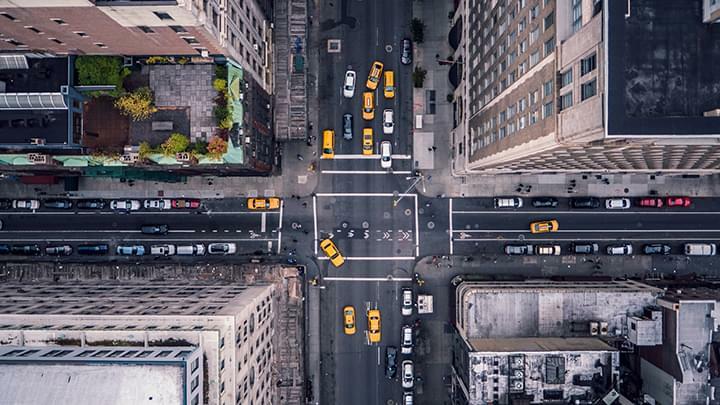 Located on the east coast of US, New York City awaits your exploration with a rental car. With Driveboo, you can compare car rental deals in New York City and easily book a car online. Benefit from the price comparison and find the cheapest offers of renowned car hire companies. Add extras such as navigation systems or child seats and travel independently through New York City and the United States! Where is it best to rent a car in New York? 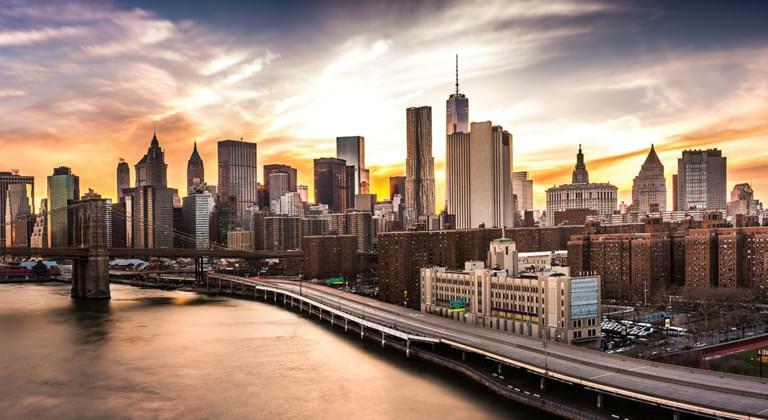 Countless car rental companies with their competitive offers are waiting for you in New York City. You can also rent a car at one of the city's airports: John F. Kennedy International Airport (JFK), La Guardia Airport (LGA) and Newark Liberty International Airport (EWR). It is possible to rent a car conveniently on site. Competition is strong here, which is very beneficial for customers and increases your chances of a cheap offer. Further advantages of renting at an airport are the longer opening hours and better availability of special vehicles such as convertibles, sports cars or SUVs. 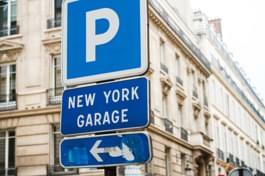 Where can I park my car in New York? New York is the most populated city in the USA. It does not offer a lot of parking spaces and parking garages are very expensive—$50 for a day is not unusual. Parking on the street is usually reserved for residents. Manhattan in particular has an extremely difficult parking situation. Outside of parking garages, there is a general ban on parking by hydrants (within a distance of three metres) and in areas marked red, as well as at bus stops. Anyone renting a car in New York should follow the street cleaning signs. Street cleaning usually takes place twice a week. After cleaning, it takes about half an hour for all parking spaces to be filled again. Using this time window is the best way to get a car parking space in New York. What are the speed limits in New York and the USA? Please be aware of that different traffic rules and speed limits apply in different states of the United States. It is therefore advisable to pay attention to the traffic signs next to the road. What insurance do I need for my rental car in New York? No matter which country you are renting a car in, for your own protection, you should always choose full insurance without non-waivable excess. In addition, you should opt for high liability coverage. Car hire New York - What is the best season to travel? The Big Apple is always worth a trip. During the summer, you can enjoy the vibrant street life of the city while wearing a T-shirt and shorts, and in the winter, you can wander through snow-clad Central Park wrapped in scarves, hats and gloves. Thanks to your rental car, you can not only explore the bustling metropolis in all its glory, but also discover its surroundings all year round! New York offers one highlight after another that you can enjoy and admire. You can visit some of the world-famous museums, such as the Museum of Modern Art or the Metropolitan, and see the iconic city symbols such as the Statue of Liberty and the Empire State Building. Then, stroll through Central Park and admire the sunset over the world's most famous skyline. Experience the city that never sleeps first-hand! The Hamptons or Philadelphia are amazing destinations for a day-trip.